Building with rock dates back to the beginning of human history. 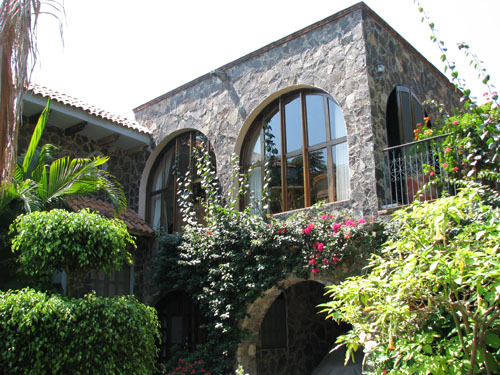 Many cultures have left durable evidence of their fine craftsmanship with stone masonry. It should not be surprising that such an abundant, indigenous, long-lasting and useful material would be utilized by our forebears. What is surprising is that it is not used more now. I suppose that this is because it isn't delivered to the construction site in perfectly rectangular blocks that can be quickly stacked into straight walls. I have always been fascinated by rocks. One of my earliest memories is of making a miniature rock building, attempting to copy what my father was building with large, heavy stones. Rocks are infinitely variable in shape, color, texture, hardness, etc. To me, laying rocks, either with mortar or dry stacking, is a wonderful puzzle, one that is best approached with a Zen state of mind. Nothing could be more satisfying than seeing the pattern of a particular wall emerge! 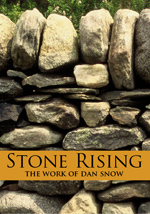 There is definitely an art to laying stones, one that can be learned by studying, watching or doing. One basic tenet is to overlap the rocks as much as possible, as one would do with laying bricks. This creates a strong wall that resists cracking along weak seam lines. Another good practice is to keep the very largest rocks toward the bottom of the structure. Every rock mason has his individual style, almost a signature. Rocks are particularly suitable in areas where thermal mass is desired, since they can hold their temperature very well. This means that rock walls in the interior of a building, especially where they will be struck by sunlight, can serve to store heat or moderate temperature fluctuations. If used as an exterior wall, rocks should be insulated from the inside to keep them from bleeding heat or cold in either direction. The media shown below are arranged according to when they were published, with the most recent ones at the top. 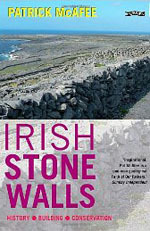 If you click on one of the images you will be taken to a page at Amazon.com where you can find out more about the book. 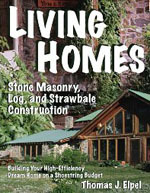 If you end up buying one of them, greenhomebuilding.com will receive a small commission that will help cover the cost of maintaining this website. Thanks for your patronage. 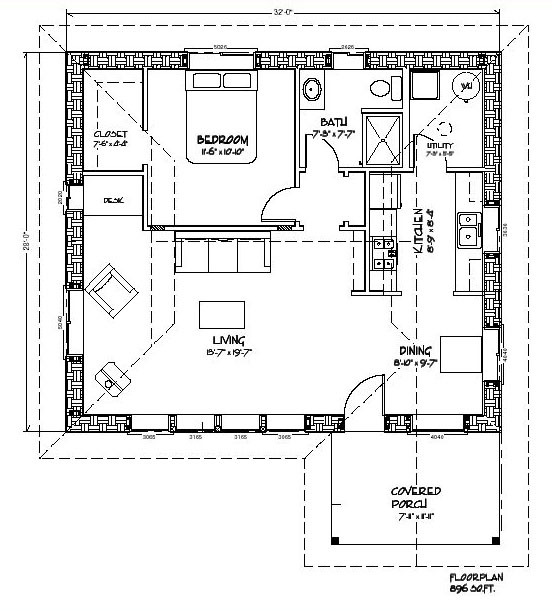 Here is an 896 sf plan made for a couple's weekend retreat...or even full time residence. It won't take much to heat this place in the winter or keep it cool in summer. It will be easy to go off grid with this one! It was originally designed for strawbales, but with the wide walls, it could be adapted for stones, with a double wall to allow for insulation. bigstones.com Rob Roy's site dedicated to his work with megalithic stone circles. slipform masonry is featured here with pictures of several projects. 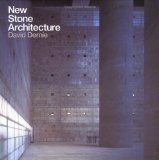 naturalstonesite.com is an unusual site offering a book, training courses in stonework, and various types of stones from Canada. Moving the old Academy the story of moving a century-old stone building several blocks. 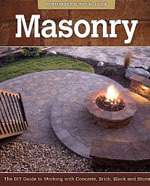 waltersm.com has an good article introducing the common masonry tools, their use and history.